iTunes Store provides over 50 thousands movies for rental or purchase. But going to these resources can be expensive, ranging from $3.99 to $19.99 per click. There are still a large number of iOS users want to watch movies without paying anything. Truly, there is a way to build your iTunes movie library and play them on iPhone iPad freely without going to iTunes store - add DVD to iTunes. The process involves in ripping your DVD collection into iTunes format, on the basis of you already owning the discs. And here comes our topic - How to rip and import DVD movies to iTunes? Just scroll down. 1. Legality of DVD Ripping - Apple insists on the illegality to rip commercial discs. But now that you do have the discs you already own, wouldn't it be great if you can safe keep them against any scratch and get them digitized for playing on iPhone iPad. At least this format shifting is just for personal use. 2. DVD Copy Protection - Commercial discs are bound to DVD copy protection schemes, which thwart common DVD rippers with issues manifesting in software crash, incomplete DVD encoding, or no valid source found error. The iTunes conversion process is no exception, if you are using an incapable tool. So to get a powerful DVD ripper that can cracks all DRMs is a must. Once you get a clear understanding of DVD ripping, you can move on - find a program to do exactly ripping. 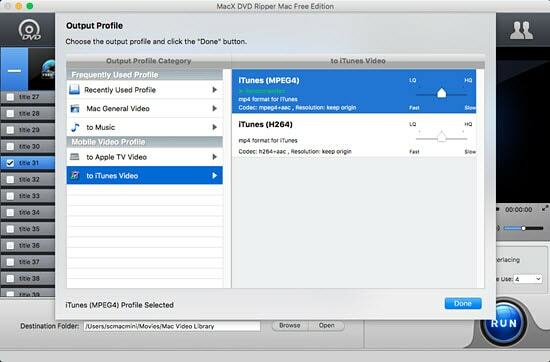 You can try MacX DVD Ripper Free Edition, which has the mission to freely add even a copy protected DVD into iTunes 12/11 so you can watch it on iPhone iPad or through an Apple TV without paying. 1. Remove DVD copy protections: Built-in unique DVD analysis engine, you are free of ripping protected DVD with CSS, region code, UOP, Sony ARccOS, etc. 2. Directly rip DVD to iTunes format: Infused with preset profiles for iTunes and Apple TV, you can free transfer DVD to iTunes at a click. Plus, it's available for you to free convert DVD to MOV, MP4 and M4V at ease. 3. Edit movie: it's at your disposal to trim the movie, edit out unwanted segment, crop out the black bars, and even add subtitles to movie for different languages. 4. Easy to use: Beginners can finish DVD conversion within 3 steps. 5. Parameter adjusting: Advanced users can tweak the parameter settings, ranging from resolution, codec, frame rate, bit rate, for higher quality or faster speed. 6. Fast speed and high quality: High quality engine, deterincing, hyper threading and multi-core CPU ensure the highest possible quality and fast DVD to iTunes ripping speed. 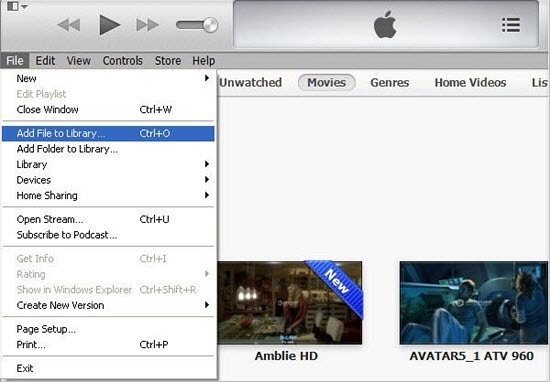 Prior to the steps to free rip DVDs to MP4 or MOV format and import/add them to iTunes library, you will need to free download the DVD converter on your computer. Step 1. Load DVD Movies or DVD Folder. Click "DVD Disc" to add DVD. Or you can click "DVD Folder" to import DVD from DVD folder saved. After a few seconds disc loading, the title number will be chose automatically. Step 2. Choose Output Video Format. Select the output format as you want, in this guide, we choose "to iTunes video" and go to iTunes (H.264) or iTunes (MPEG4) from the drop-down window. Step 3. Choose Output Folder. Click "Browse" button to choose the path where you want to save the output files in. Step 4. Start to Rip DVD to iTunes. After finishing the above steps, click "RUN" to start digitizing DVD movies. You can view the conversion progress and are able to cancel the converting process at anytime. 1. Tweak the video/audio resolution, codec, frame rate, bitrate, or enable two-pass encode. 2. Check High quality engine and deinterlacing for good image preservation. 3. Make full use of CPU core up to 8 to speed up the DVD conversion. 4. Check Safe Mode for more intractable disc ripping, though it takes a longer ripping time. 5. Choose to open the file or shut down computer after conversion and add MP4 to iTunes library directly. Once you finish the DVD transcoding, you can then import DVD movies into iTunes (12). 1. Just Launch iTunes 12. 2. Click "Add to Library" under File to add the ripped movie into iTunes 12. Or you can just drag and drop your movie into iTunes. The file will be imported to the category automatically. 3. Please make sure to have the latest version 12.5 installed with internet accessible. Note: If you wonder the movie to look like the purchases from iTunes store, you can also add tags to the movie with MetaxZ or iDentify before adding to iTunes. These tools pull in cast, art and chapter information with the aid of the movie title and database scanning. Here we go to the movie syncing process after you add DVD to iTunes. This will help you watch the ripped movies on iPhone iPad without carrying disc anymore. 1. Just click the iPhone or iPad on the sidebar of your iTunes window. 2. Click on the Movies tab at the top once the information window pops up. 3. Tick to sync all movies or just the one you have ripped. 4. Click apply and your iOS device will begin syncing with iTunes. Note: iTunes sync will lead to constantly data erasing. So make sure to backup your iPhone or iPad or turn to iTunes alternative to transfer movies to iPhone iPad. FYI: The free iTunes DVD ripper mentioned above meets almost all needs for copy protected DVD ripping. But if you need to add 99-title DVD or the latest DVD to your iTunes without any problem, you can go to its advanced version - MacX DVD Ripper Pro, which now supports all intractable discs that common free DVD rippers cannot do, coveringDisney DVDs Zootopia, new or DVD with 99 titles such as Manchester by the Sea, Hacksaw Ridge, AV DVD, Workout DVD and others. !!! The DVD ripper developer only encourages you to rip DVDs for legal personal use, instead of illegal reproduction or distribution of copyrighted content. Please obey your local DVD copyright law before doing it. DO NOT do harm to others' lawful rights and interests. 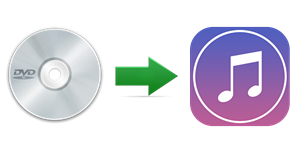 The step by step guide shows you how to rip DVD collection to be added to your iTunes library on Mac and transfer them to iPhone, iPad, iPod. How to rip copy protected DVD to iMovie freely? The DVD ripper for Mac from MacXDVD is an ideal solution to put and import DVD to iMovie, iTunes, QuickTime Player, Final Cut Pro supported formats so that you can edit and play the movie easily. This top DVD to iTunes converter freeware is a 100% safe yet free DVD ripper to add DVD to iTunes by digitizing disc into MOV, MP4, format so as to later transfer DVD movies to iPad iPhone 7/Plus without format issue.